There has been much discussion in other blogs and other media about the economies of scale that Amazon is bringing to the market, making large scale computing available at a cost that has impressed many. 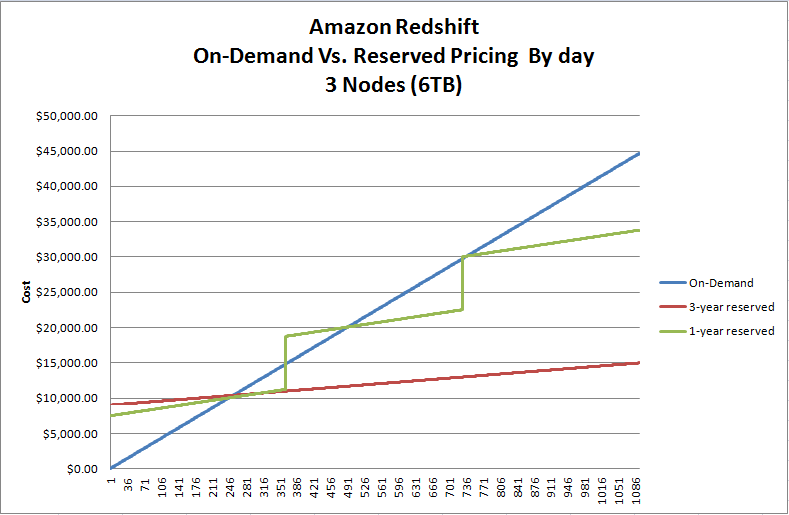 The cost structure for their Redshift product appears to be no different. 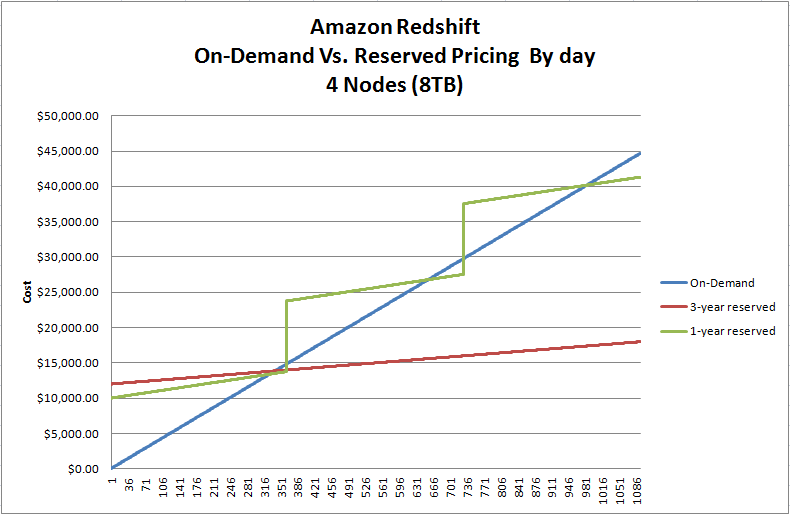 Based on the current costs, I have put together the per-day costs of running three different cluster sizes for three years (since they have a 3 year option) under the different pricing models. The thing that is immediately obvious, is that not only is the three year option the best. Even if you are in the research and development phase of a project, the total cost to buy into the three year plan is so quickly recouped, it almost makes no sense to even start with the on-demand pricing model (smart move on Amazon’s part). 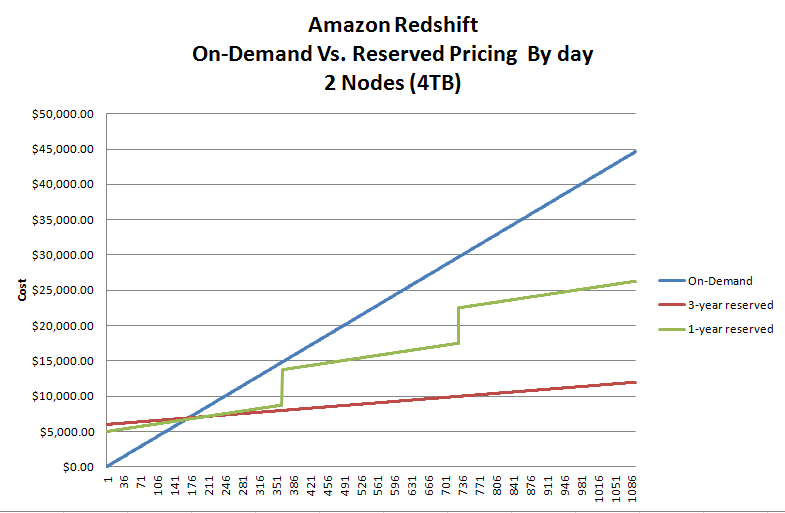 Clearly, there is a lot more to consider in choosing a data warehouse platform, but on a head-to-head cost basis, Amazon is making the economic decision relatively straight forward. ← So what is a column store anyway?